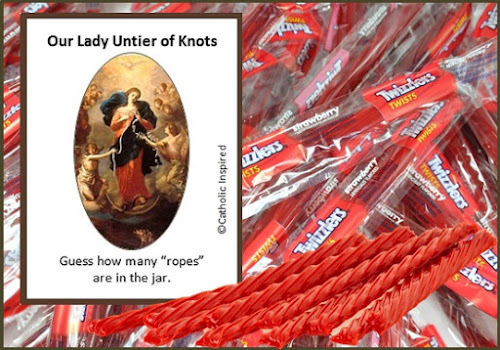 Home » All Saints Day Game » Our Lady Untier / Undoer of Knots » St Dominic » St Lawrence » St Lucy » St Tarcisius » Saint Themed Guessing Jars - Set 3 with 6 new Labels! 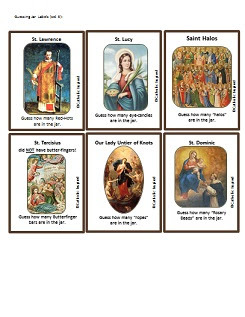 Saint Themed Guessing Jars - Set 3 with 6 new Labels! 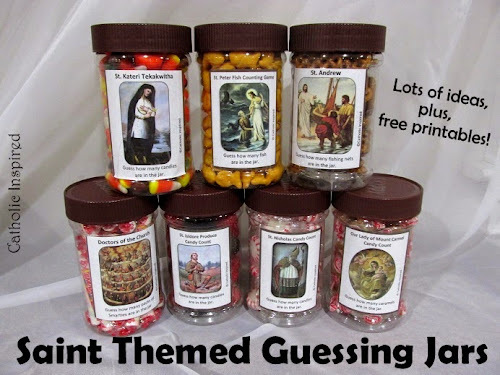 If you have been following our blog for the past few years you already know about our super fun Saint Themed Guess Jar games! Here are the jar ideas and labels from 2013 and 2014! This year I made a few new jars again! These jars were a great hit at our party again this year!! 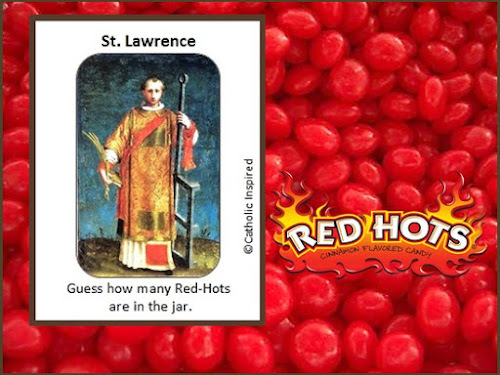 Here are our 6 new jar labels - download them all from our ACTIVITIES CENTER. Enjoy!! 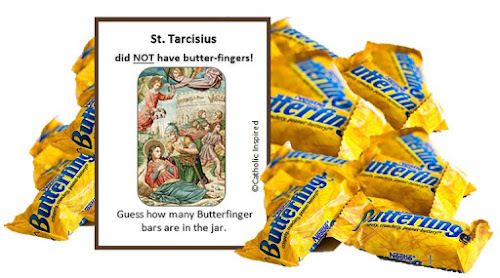 May you all have a blessed All Saints' day! These are great! Made our All Saints Day party really fun. Thank you and God bless. How fun! I must do this next year! 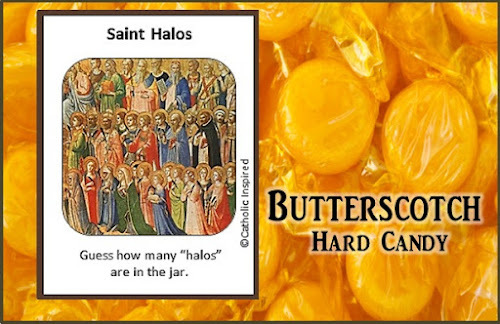 I'm new to the blog, but Iove this idea for celebrating All Saints Day. I'm filing this for next year. 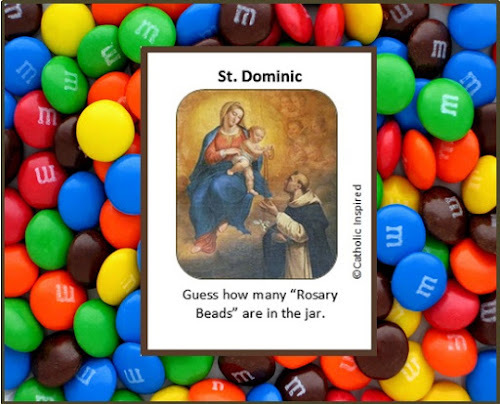 Thank you for sharing these guessing games and labels. 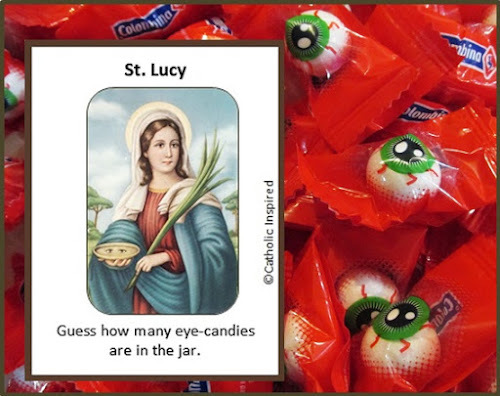 I used them with my religious education classes for our All Saints Day party. I want to write a comment, but I don't know where to start . . . you are amazing! and soooooo generous! I cannot wait to do this with my fourth graders!!! I'm going to try to take the emphasis of Halloween goolishness and focus more on the hallowedness of the day. God bless you! Printable Jesse Tree Ornaments! FREE and EASY!